1. Spread tomato sauce over base, sprinkle both the bacon followed by the cheese and herbs on top. 2. Cook in the oven for 10-15 minutes until the crust is golden brown. 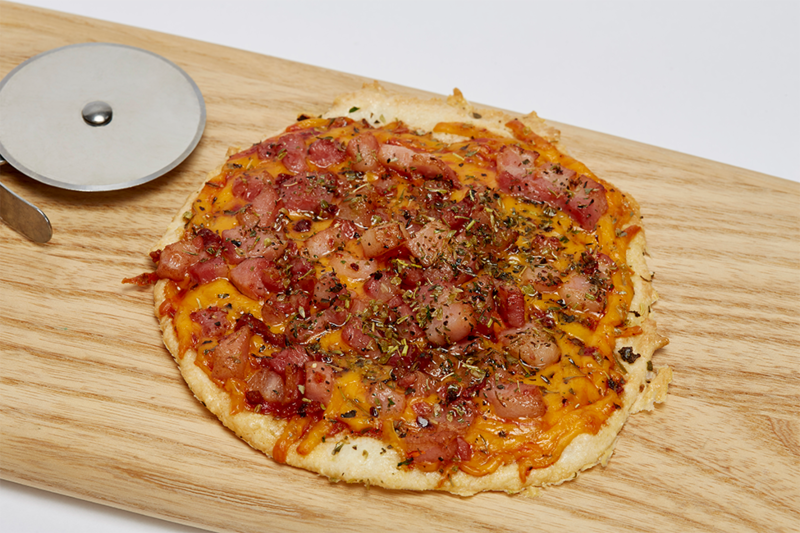 To download the Bacon Pizza recipe card click here.